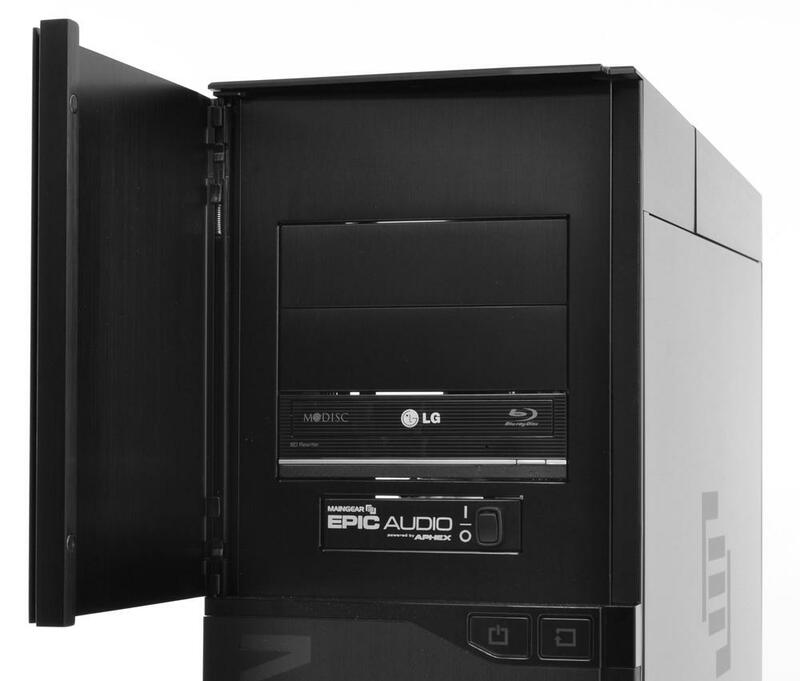 This desktop should be on the short list of anyone who wants a high-end gaming rig. It doesn’t destroy the competition, but it does offer outlandishly quick performance and a long warranty. High-end gaming desktops are all about blowing the doors of the competition with benchmark results so high that they’re no longer about practical in-game performance and instead about bragging rights. An analogy to muscle cars is apt – no matter how fast they are, there are people who want to go faster, even if there’s no chance you’d use that performance in everyday driving. Last time around the Shift set several performance records at Digital Trends, so this new model has a lot to live up to. On paper, it seems up for the challenge. Our review unit arrived with an Intel Core i7-3960X, three HIS Radeon HD 7970 graphics cards, sixteen gigabytes of memory and not one, but two 120GB Corsair Force GT SSDs in addition to a more conventional 1TB Seagate mechanical drive. This is an extreme configuration, so of course it has an extreme price. 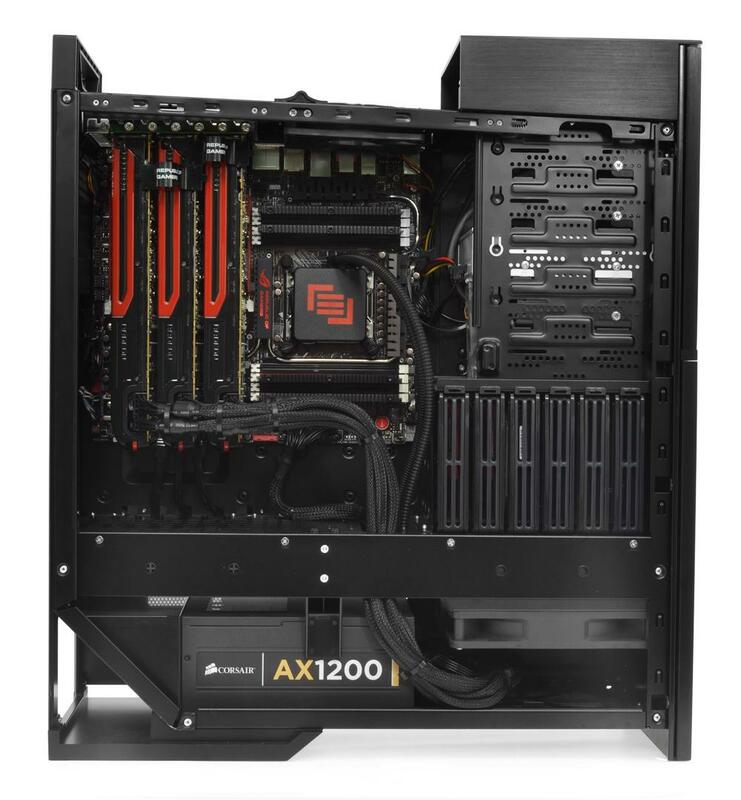 Our model is the Shift Super Stock with an X79 motherboard, which starts at $3,449. After upgrades, our review unit came to a retail price just over $6,400. That makes this desktop one of the most expensive computers we’ve ever reviewed. Can it justify the price? 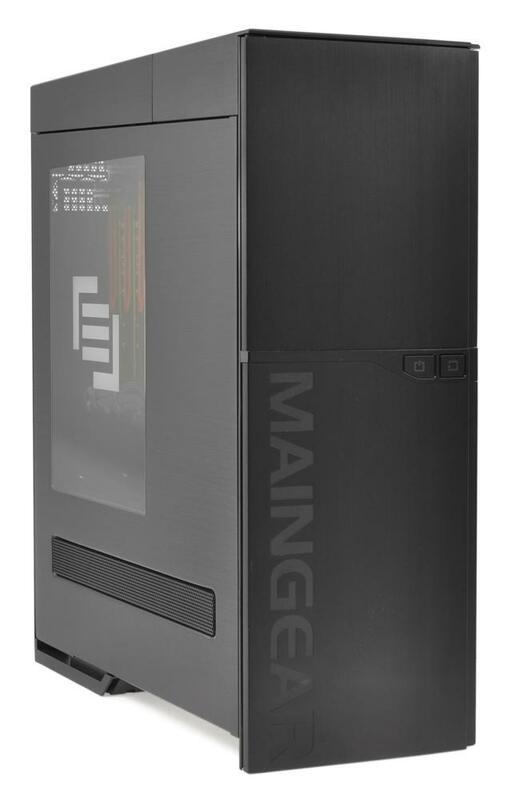 While the internals may have changed quite a bit since the last time we reviewed the Maingear Shift, this computer still comes in the same monolithic black case it has for the past few years. The only significant change to be found is the case window, which now includes a Maingear logo. You can customize the color if you’d like – for a price. If it’s not broke, there’s no reason to fix it, but the Shift’s case isn’t perfect. 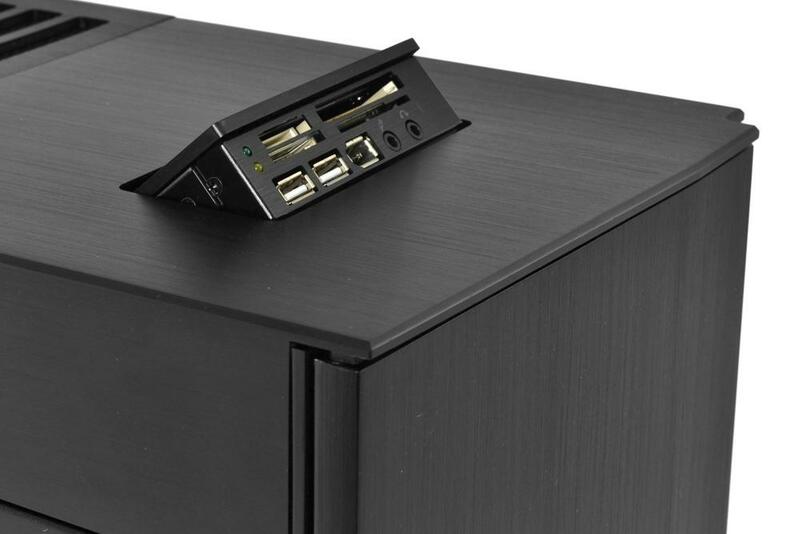 Like many other high-end gaming rigs the Shift uses a rotated layout which places the motherboard’s back panel at the top of the case instead of the rear. This has cooling benefits, but it also makes both the ports and the motherboard more vulnerable to accidents. A protective panel is put in place to reduce the risk, but this blocks easy access to the ports. Worse, the panel isn’t easy to take off. Even after the two screws holding it in place and removed you have to wrestle a bit to finally pry the panel away. People who frequently plug and unplug peripherals to the motherboard ports may choose to remove it once and throw it in a closet. Another concern is the optical drive cover. 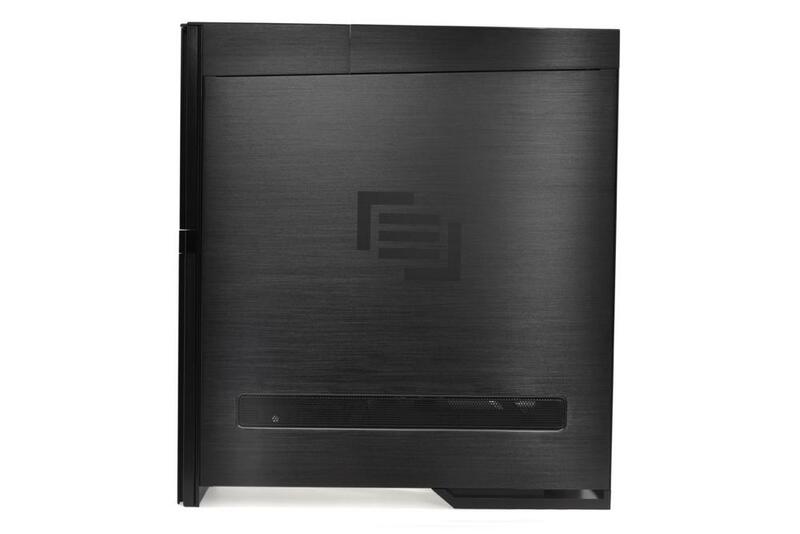 It is common for a desktop to have a cover that swings away to reveal the optical drives, but our review unit came with a rather loose hinge that felt unstable and didn’t always close smoothly. Users can remove the cover entirely if they choose, and we suspect that most people will do this instead of worrying if the cover is open or closed. No one can accuse the Shift of not having enough connectivity. The Rampage Extreme motherboard installed in our review unit offers four USB 3.0 ports, seven USB 2.0 ports, two eSATA ports, Gigabit Ethernet, 7.1 Audio and Bluetooth 2.1. Video connectivity is just as robust thanks to the three Radeon video cards. You can take your pick from three DVI jacks, three HDMI ports and six DisplayPort connections. All of these together allow the Shift to support AMD’s Eyefinity multi-monitor technology. As if that weren’t enough, a flip-up card reader on the top of the case includes two additional USB 2.0 ports, a headphone jack and a microphone jack. We would have preferred if these ports were accessible without relying on a flip-up mechanism (which is spring loaded and could, potentially, break) but it’s hard to argue with all of the options made available here. Opening the Maingear Shift reveals a huge amount of space for components. Despite packing three Radeon video cards there is still plenty of room to work. It’s clear that some thought has been given to making sure that hardware is easy to access. Once you’ve opened the case, which is accomplished using a sliding latch instead of hassling with screws, you’ll find that you have direct access to the video cards, the RAM and the hard drives. 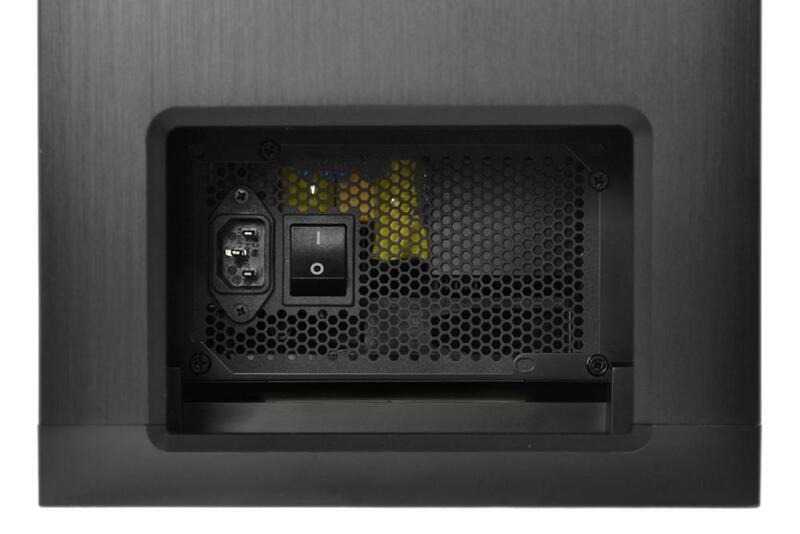 The modular Corsair power supply, in conjunction with creative use of zip-ties, keeps power cords out of the way. You could easily replace the RAM, video cards or hard drives without bothering other components. Some of the tool-less features could work better, however. For example, the hard drives are mounted in plastic cages which can be easily removed. The power and SATA cables behind these cages are not firmly mounted, so re-installing a drive requires that you remove both side panels and fiddle with the connectors a bit. Even the side panels themselves are a bit difficult to put back on after you’ve removed them. You’ll have to go through some trial-and-error before the process becomes second nature. Our review unit came with the typical binder full of system information. Falcon Northwest still does a better job of packaging the extras, but Maingear isn’t far behind. Inside the binder we found a t-shirt, a free copy of Batman: Arkham City and detailed instructions on how to perform basic system maintenance, such as removing the panel that protects the motherboard ports. Usually we find boutiques to be entirely free of pre-installed software, and the Shift is no exception. However, the desktop does come with two shortcuts to free anti-virus and free office software. Opening these shortcuts will direct you to Microsoft Security Essentials and OpenOffice, respectively. Thankfully the software isn’t pre-installed. Maingear has simply downloaded the executable for you so that you can install them if you choose. The default warranty for the Shift is a 2-year hardware warranty with lifetime “Angelic Support.” This means you can call Maingear for assistance at any time during the life of the system, free of charge (but you still have to pay for hardware replacement and shipping, if required). Our review unit came with a free 1-year extension of the hardware warranty for a total of three years. That’s impressive. Origin asks you to pay $269 for a similar hardware warranty, though Falcon Northwest also provides a 3-year warranty for free. The Shift’s natural competitors include the Origin Genesis and the Falcon Northwest Mach V. We’ve recently tested those desktops and found them to be impressively quick, but the configuration of the Shift that we received is in another league. It uses not only a Core i7-3960X processor but all three of AMD’s newest high-performance video cards. Processor benchmarks did not disappoint. In SiSoft Sandra’s Processor Arithmetic test the Shift offered up a combined score of 209.57 GOPS, while 7-Zip returned a score of 40,678 MIPS. Both of these align with the Shift’s tradition of setting records – in fact, this is system is the first we’ve tested to score over 200 in the SiSoft benchmark and the first to score over 40,000 in 7-Zip. PCMark 7 sometimes serves to bring outrageously high processor scores back down to earth but providing a more comprehensive picture, but in this case the benchmark only served to further the Shift’s dominance. Its overall score of 6,688 is over 600 points better than the Falcon Northwest Mach V we tested late last year. It creamed the System Storage section of the benchmark, offering up a score of 5,640. That’s over 1,000 points higher than any other system we’ve reviewed. But the Shift was just getting started. In 3DMark 06 it returned a score of 37,387 and in 3DMark 11 it managed a score of 21,042. These scores demolish our previous record holder, the Origin Genesis, which scored 14,616 in 3DMark 11. The new Radeon video cards are doing their job. What about real-world gaming? Jaw-dropping just barely describes what we saw. At a resolution of 1920×1200 this desktop ran Battlefield 3 at Ultra with an average framerate of 184 FPS. That’s right – 184! Dawn Of War 2: Retribution ran at an average of 126 FPS and Just Cause 2 ran at 60 FPS, but only because the game caps its maximum framerate. You need to be running at 30-inch monitor to even begin to stress the Shift’s hardware. Also worth noting is load times. During our benchmarks we noticed that the dual 120GB Corsair solid state drives allowed for lightning-quick loads in every game we tested. We think that most gamers would rather pocket the hundreds spent on those drives and deal with slightly longer loads, but if you can’t be bothered to wait around this desktop has you covered. You’d expect a system like the Shift to be a bit loud and a bit hot. This is normally the part where I tell you that your expectations are correct – but in this case you’re only half right. At idle the system is surprisingly quiet. 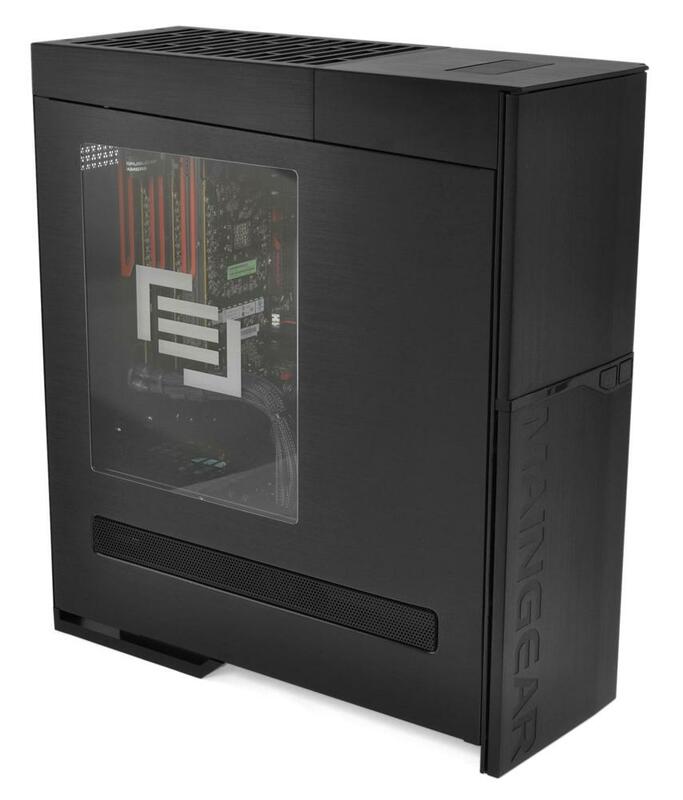 Maingear has been conservative with fans and used large ones whenever possible. Because large fans are able to generate significant airflow without spinning quickly they reduce the noise a system generates. Placing the system under load of course forces the fans to spin up, but overall noise remains more than tolerable. The main issue for most users will be heat. The Shift puts out quite a lot of it, enough to noticeably warm the office it was tested in after just fifteen minutes of benchmarking. This may be a problem in the summer if your gaming room isn’t air conditioned. This heat translates to high internal temperatures, as well – at least on the GPU side. Stress testing with Futuremark brought the GPU up to 91 degrees Celsius, which is toasty. There’s only so much that can be done to cool three high-end GPUs placed together in CrossFire. There’s no way to argue with the performance of the Shift. It’s not unusual for a new desktop to outperform the ones we have previously reviewed. Hardware is constantly progressing, so each new system is likely to be quicker than the ones before. The Shift, however, completely blows away previous systems in numerous benchmarks. The trio of brand new Radeons is certainly part of the reason for its edge, but the Intel Core i7-3960X is also part of the story. There’s nothing you can throw at this system that it can’t handle. Maingear’s problems are not performance, but design. The attractive case that is used for the Shift isn’t as easy to work with as it first appears. Removing side panels and hard drives isn’t difficult, but putting them back on is a different matter. And then there’s the battery of motherboard ports on the top of the enclosure which require a protective panel. I criticized this configuration in the Falcon Northwest Mach V, and my opinion is no different here. Plugging peripherals into the motherboard ports is more of hassle than it should be. Custom desktop manufacturers need to come up with an easier solution. Overall, it’s clear that this desktop should be on the short list of anyone who wants a high-end gaming rig. It doesn’t destroy the competition, but it does offer outlandishly quick performance and a long warranty. Those who want peace of mind while fragging noobs should look at the Shift first.